After a few months of working and worrying– not to mention the years of wondering– I’m finally starting an online shop, Emmyelle! Now, if you’ve met me, you’re probably well aware of my anxious and neurotic ways so this was no easy feat, but in all honesty, it was an easy decision. So many ideas were bubbling around in my brain and it was time they were finally made manifest. 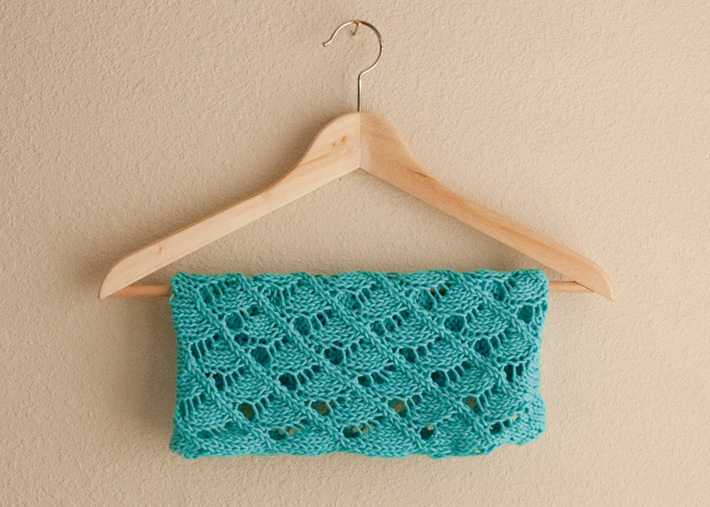 The first item available is a knitting pattern*, my ode to summer, Sirena. This is a lacy little thing that gets its name not from the effect it can have on sailors (or does it? ), but from the Milanese Lace stitch that evokes geometric wave patterns. 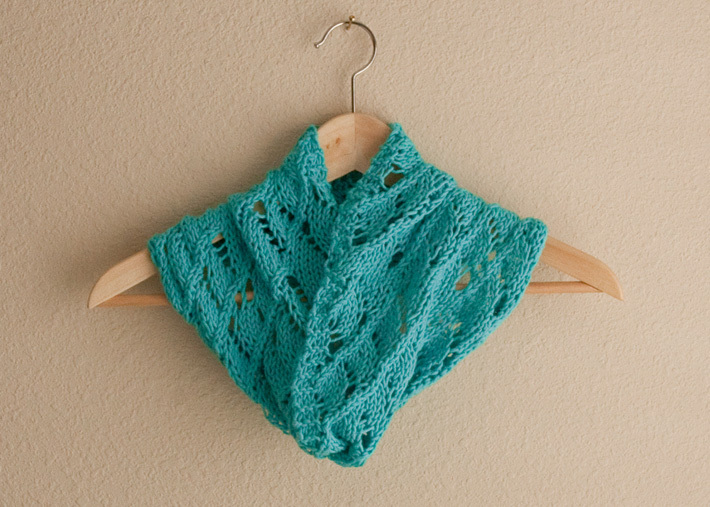 Short and sweet, it’s easy to knit up and even easier to wear, making it perfect for those breezy days at the beach or any time you need just a little protection from the elements. The name is also a nod to my love of The Little Mermaid, because the fandom part of my brain my heart my soul is always at work, as you can see by my Weasley Weather Bottle shirt. Using the Provisional Cast-On method, Sirena begins from one side and is worked towards the other, with the ends grafted together using the kitchener stitch for a seamless look. Because of this, the final length of the piece is determined by the cast-on stitches, while the final circumference is determined by the rows worked. 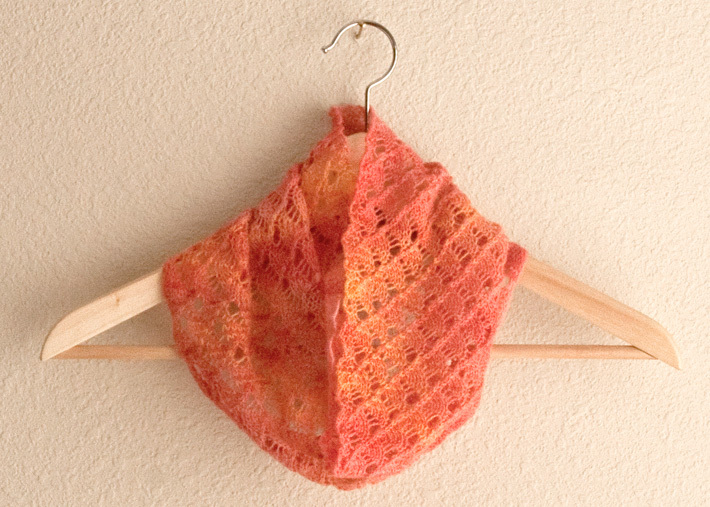 Despite the lace and the cast-on method (a link to detailed instructions is provided within the pattern), one only needs to know the following stitches: knit/knit 2 together, purl/purl 2 together, and yarn-over. That’s it! I’ve knitted these two samples up in differing weights and fibers to illustrate the versatility of the pattern. 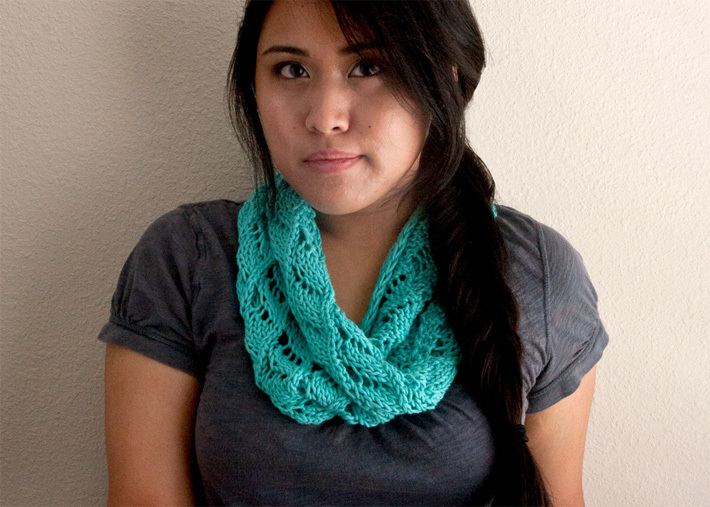 The turquoise sample is Wool and the Gang’s Shiny Happy Cotton in “Magic Mint” (which was recently restocked! 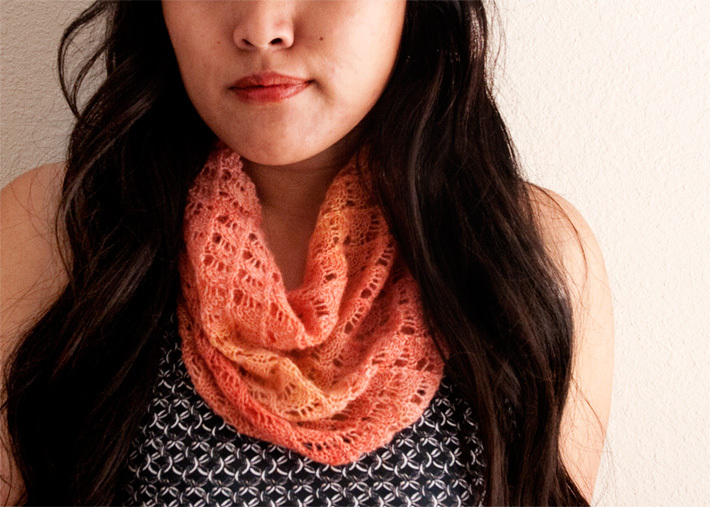 ), while the orange sample is Knit Picks’ Shadow Lace, a 100% Merino Wool yarn, in the beautiful, but unfortunately now discontinued “Queen Anne Tonal” colorway. 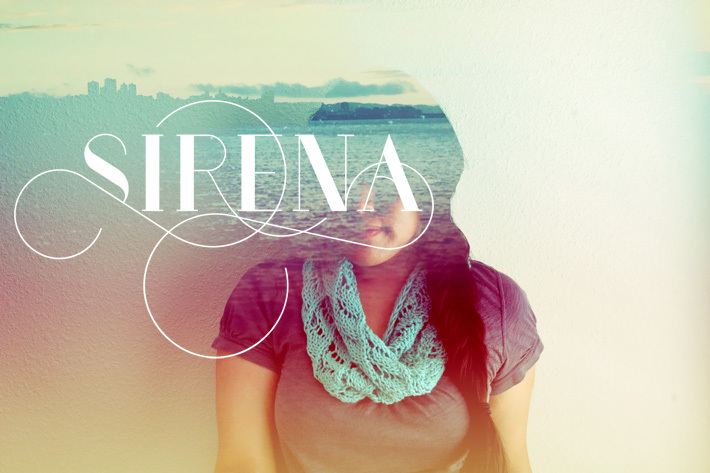 Sirena is available to purchase for only $5 USD over at Ravelry, (you don’t have to be a member to make purchases) as well as Etsy! 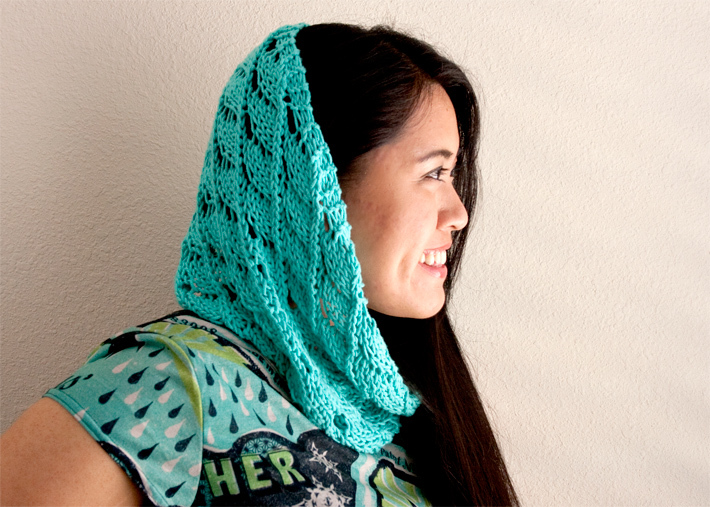 Both sites have the pattern available for instant download, so no need to wait to cast on! * If you’re interested in a physical product, please let me know! I’ve been considering making a worsted weight option available for sale, but given that there are so many factors to look into (fiber options, colors, costs of production and shipping, the list goes on!) I wanted to know if enough people are interested before heading down that road. It’s gorgeous! 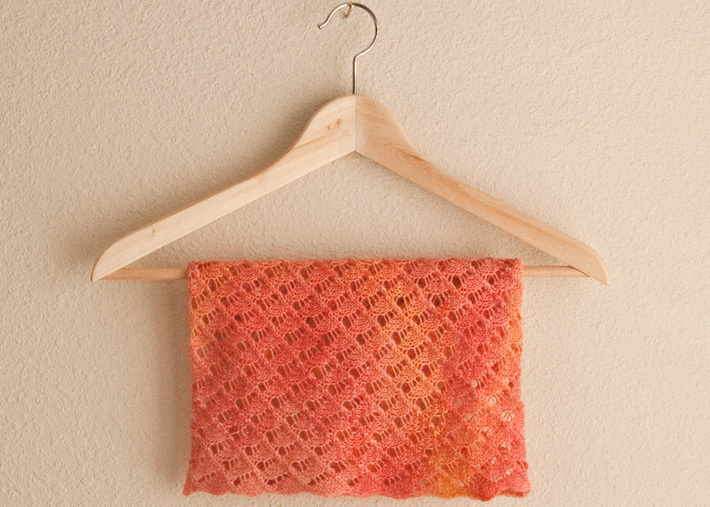 And I absolutely adore the colors in your samples :D Would that I could knit! And congratulations on the Etsy opening! The name is darling and the store banner is lovely. I know how much thought and care you’ve put into launching it and it’s definitely paid off, I’m so excited to see it grow and I’ll be here cheering you on! !